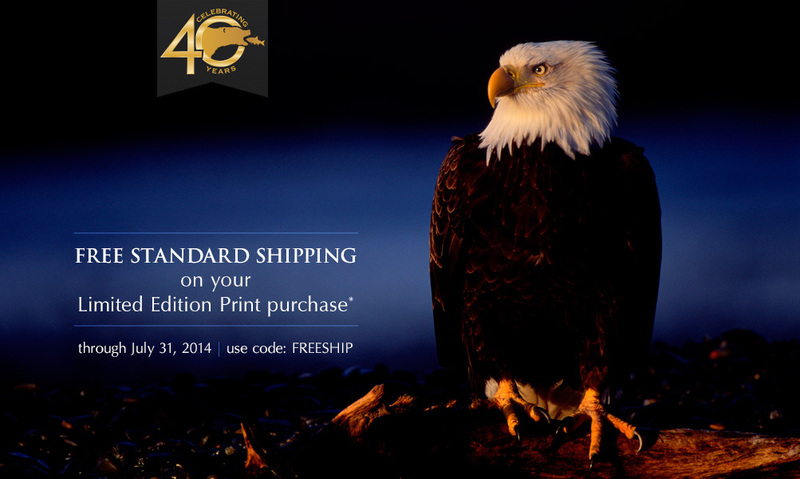 *Free standard shipping applies to Limited Edition Print orders shipped within the continental United States. Use code: FREESHIP at checkout. Not valid on charitable merchandise, Artist Proof prints, MANGELSEN—Images of Nature® Gift Cards, Secondary Market images or Image Specials. Offer ends July 31, 2014.